Why would I need self storage in Katy, TX? There are a variety of reasons why you might need self-storage in Katy, TX. How much is a storage unit in Katy, TX? The cheapest storage unit in Katy, TX is $10.00 per month. What size storage units do you have available in Katy, TX? In Katy, TX we have sizes that range from 5'x4' to 10'x30' to suit your storage needs. How much is it for a 5'x4' storage unit in Katy, TX? The cheapest 5'x4' storage unit in Katy, TX is $17.00 per month. 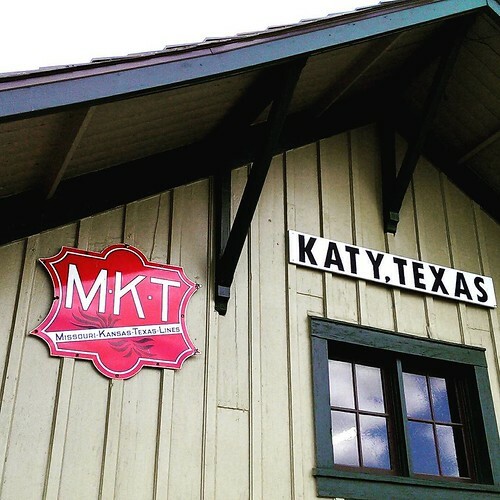 Katy is a relatively small city in southeastern Texas, though it has been growing extremely quickly in recent years. A large percentage of the local population is made up of young families, attracted to the city's amenities, local parks and affordable homes. Much of the city is composed of diverse residential developments, including homes from the 1970s as well as brand-new planned communities. The first settlement in the area that's now Katy was established in 1872 and went by the name of Cane Island. The town of Katy was laid out in 1895 by J.O. Thomas, R. M. Cash and L.C. Luckel, and functioned as an agricultural community that primarily produced rice. The farm-based economy was also able to support many local businesses including saloons, general stores, stables and hotels. While the city has always been a family-style community, it was also home to a railroad hub for quite some time. In addition, it has one of the largest gas fields in the area. Katy was incorporated in 1945. Katy offers a lower-than-average cost of living, as well as a low crime rate. Numerous amenities, including health care facilities, grocery stores, schools, public parks and fitness centers, can be found in the area. These factors have attracted a mix of working professionals, families and retirees to the city, spurring rapid growth in recent decades. The annual Katy Rice Harvest Festival is a nod to the city's past as an important producer of rice. The celebration spans two full days and features a family-friendly carnival, food vendors, crafts and live entertainment. The schools in Katy are part of Katy Independent School District. In addition to its traditional elementary, middle and high schools, the district also oversees three alternative campuses. Private and charter schools in the area include Aristoi Classical Academy and Mirus Academy. Utilities: Katy's primary utilities providers are Centerpoint Energy and the city utilities department. Garbage and Recycling: Republic Services provides curbside collection of trash and recyclables. Garbage is collected once a week, while recycling is picked up every other week. Transportation: Although public transit options are somewhat limited in Katy, you can take advantage of commuter vans and park-and-ride facilities in the area. Home prices in Katy have been on the rise in recent years, following the growing demand for housing. A major benefit of shopping for a home in Katy is the large and varied housing market, which offers a wide range of options. This makes it easier to find something that fits your budget and needs. Our lowest priced units in Katy, TX average $20.20 per month. 361 people have reserved units in Katy, TX in the past 30 days. There are 5 locations within Katy, TX's city limits. There are 5 locations in Katy, TX that offer AC and Heating features.